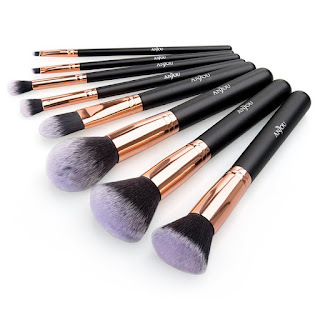 Right now over at Amazon.com you can score this Anjou 8-Piece Makeup Brush Set for just $6.99 when you use promo code DPFBUT4N at checkout! This makeup brush set includes four large and four detail brushes for everything from foundation, highlights, eye shadow, and more. Each brush features a rose gold design and the set includes a waterproof cosmetic bag for easy storage.